The internet is the first source that most people opt for when looking for information to make changes to their diet or begin incorporating an exercise routine. If you’re in the health and fitness niche then you need quality content to provide your readers. And with so many millions of people trying to fight the war against obesity, the industry has never been bigger. People are looking for solutions and the quality content inside this pack is definitely a great source for your readers. 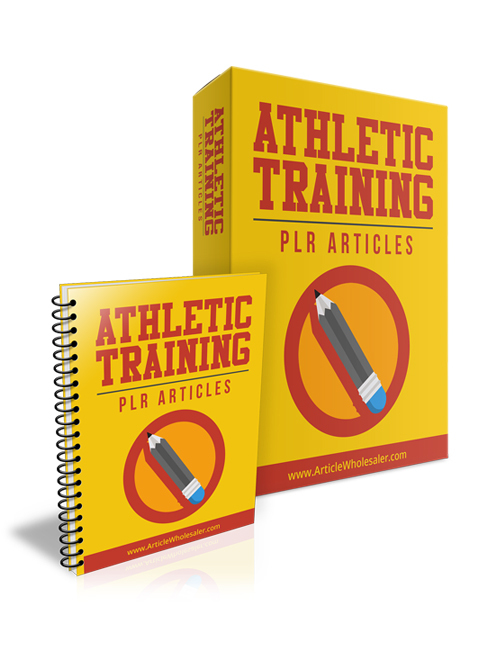 In these 10 plr articles, people will become familiar with the many different types of training routines and programs implemented by athletes in many different sports. Each individual sport requires a different type of training program, from football to tennis to swimming to running to boxing, etc. Physical sports naturally would require more weight training while sports like tennis require more in the way of cardio. The content here provides a great amount of detail which your readers would find beneficial. You can use the content as a source for your blog or as a freebie or anything you choose. Get it now.